(CNS): A 55-year-old man from George Town has been arrested on suspicion of burglary after break-ins at four alcohol outlets in the capital since Sunday night. Police believe the suspect may be responsible for stealing beer, spirits, liquor and a dozen bottles of champagne after they recovered a large quantity of alcohol at his house Tuesday. The RCIPS is also warning people not to buy cheap booze in unusual circumstances as they may be purchasing stolen goods and could face prosecution. The police are also urging business ownersto improve security as Christmas approaches, sucn as installing audible alarms to deter burglars and CCTV to identify them if they are not. The latest booze crime wave began late Sunday night, 16 November, with a burglary at a mini-warehouse in Central George Town, where a quantity of beer and spirits was stolen. The suspect had broken into the warehouse by cutting the bars to the building. Then, in the early hours of Tuesday morning an alarm was activated at C.L Flowers and Son on Seymour Drive. The police attended the location and met with the owner. Although the premises was entered, nothing was reported stolen. The third incident occurred at Jacques Scott's North Sound Road warehouse, where various types of beer, liquors and spirits were stolen. The fourth break-in happened at Blackbeard’s Liquor Store in Buckingham Place, where a rear window was smashed and around twelve bottles of champagne and a quantity of spirits were stolen. As a result of these incidents police went to an address on Maple Road, George Town, where a 55-year-old man was arrested on suspicion of burglary and where a large quantity of alcohol was recovered. The suspect remains in police custody pending further investigations. 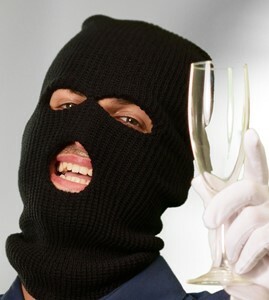 In the wake of the crime spree Detective Chief Inspector Malcolm Kay warned people who are offered and accept any wholesale alcohol at a reduced price from anyone under unusual circumstances that they may be committing the offence of receiving and handling stolen goods and be liable to arrest and prosecution. “Anyone who is approached to purchase any such items of alcohol is encouraged to contact the RCIPS immediately,” the senior officer stated. Given the time of year, he also encouraged business owners to review their security measures. “Leading up to the festive season criminals may continue to target businesses where such consumables are stored or sold,” he warned. “Ensure CCTV is functional and providing clear images of key points of entry can greatly assist in identifying intruders. "Audible alarms will discourage most burglars as they will not want any attention to be drawn to themselves. Additionally checking doors, windows and locking mechanism may deter opportunist criminals. It is also recommended that large sums of money are not stored on premises overnight,” Kay added. Little birdie told me that at least one of these liquor stores had a very expensive anti theft protection system, and that it did not function as promised by the vendor. Stores pay a high price, security firms some times do not deliver. So to blame the merchants for not being proactive may not be a full picture.